Be sure to leave a comment below to enter the drawing for a skein of Dowager Countess from Roman Hills. If you have problems leaving a comment try being "anonymous" but be sure to leave contact information of some kind! This show is sponsored by Quince & Co, Peddler’s Way Quilt Co, and The Fiber Universe. The folks at Quince & Co believe that businesses can be good citizens—should be good citizens—without making too much a fuss about it. So, they have created a line of thoughtfully conceived yarns spun from American wool or sourced from overseas suppliers who grow plants, raise animals, or manufacture a yarn in as earth- and labor-friendly a way as possible. Find them at www.quinceandco.com and while you are there, sign up for their free e-newsletter. Peddler’s Way Quilt Shop is a sponsor of our show and our knitting Pipeline Retreat, March 2-3, 2012 in Washington IL. The shop is located just about a mile from our retreat location just off the historic Washington Square. Peddler’s Way Quilt Shop is practically at the back door of those of you staying at The Cornerstone Inn Bed and Breakfast. On the second floor of this 6,000 sq ft store is a fiber corner with an array of fine quality yarns, books, and needles. The Fiber Universe in Peoria IL provides quality products, service and instruction for fiber enthusiasts. They stock yarn from Cascade, Plymouth, Skacel, Three Irish Girls, Kauni, Jojoland, Claudia Handpaints, and more. Fibers for spinning and felting are available from local farms. The Fiber Universe accepts orders over the phone and offers free shipping on orders over $50. Check out their website, www.thefiberuniverse.com or give them a call today at 309.673.5659. Bronwyn the Brave is keeping a list of those registered for the retreat. The list is posted on our Knitting Pipeline Group on Ravelry. Dorothy’s letter last week struck a chord with many listeners. Chris left a message about her sighting of a barn owl. Karebot has a great conversation starter. What would you do during a zombie apocalypse? A correction from last week’s show: (Thank you spinsjal!) Joshua Tucker is a massage therapist, NOT a physical therapist. Read Wendy’s note on our board with another side to the issue. Last Friday we awoke to dense fog which was not an auspicious beginning to our Snowy Owl Expedition. Well, maybe it was. We made it to the Emiquon Wetland Preserve and saw quite a few American Bald Eagles. We also saw Snow Geese! There were thousands of them flying in ribbons as far as we could see down the waterway. Funky and Aizome did see Snowy Owls in Minnesota! I have not given up yet and there is always next year. Yarn recommendations for socks (that will wear well). For the record, I have tried duplicate stitch (Swiss Darning) and do not like it for the tight gauge of socks. I read a letter from JudyBee who is knitting Kevlar into her bullet proof socks! Even Charlene Schurch was impressed! Ten Stitch Twist by Frankie Brown took a little over a month to knit using stash yarn. May I say how much I love my joins? Spirals are soothing and relaxing even when there are short rows involved. Project notes are here. Blanket measures 42” across and I figure it is about a sweater’s worth of worsted weight yarn. Piper’s Journey KAL begins! The pattern is available at Quince & Co. in the Scarves, etc. The whole collection is stunning! Tag your Piper's Journey shawls for the KAL as pipersjourneykal. Thank you for your support of my first published design! Oops from last week! I have done more cowls than I thought. Kilkenny Cowl by Pam Allen is one of Emily’s favorites. Downtown Abbey…we have a giveaway from Roman Hills! They have a stunning and very clever Downton Abbey Line with colorways named for the characters. Leave a comment below to be entered into a drawing for a skein of the Dowager Countess. What is a weekend? Thank you, Roman Hills! You have until Feb 21 to leave a comment. The Paris Wife by Paula MacClain. I’m falling behind in podcast listening. Finished Zombies Don’t Cry: Book One in a Living Dead Love Story. By Rusty Fischer Last week I said it was funny. Right after that it was not so funny. It was sad. Birds of a Feather by Jacqueline Winspear Book 2 in Maisie Dobbs series. Goat Song: A Seasonal Life, A Short History of Herding, and the Art of Making Cheese. Recommended by Alisonc. Remember to leave contact information (Ravelry name, email, blog) in your comment so you are eligible for the drawing of the Dowager Countess from Roman Hills! Oooo oooo! Yarn giveaway! Me me!! ;-) Thanks for hosting a giveawa, Paula. Roman Hills has so many lovely colorways. What a generous giveaway. The Dowager Countess is my favorite Downton-ian. Can't wait to get started on my Piper's Journey. I have the perfect recipient for it. I have been looking at this yarn. I love it all. Of course adore DA - Love work on Monday if only for the DA talk! Another wonderful episode! I am also looking forward to the Piper's Journey KAL. The pattern is gorgeous. Yes--those are fine joins on that blanket, Paula! The little glints of silver in the Dowager yarn are brilliant. Congratulations on your first published pattern--it looks like an enjoyable and relaxing knit--beautiful! Love the violet colors in the Dowager yarn. Oooh, Downton Yarns! Sometimes my favorite character is Matthew, and sometimes it is the Dowager Countess. The Dowager does seem to be the brains of the family! Oh, what fun! Pretty yarns named for the characters in Downton Abbey. 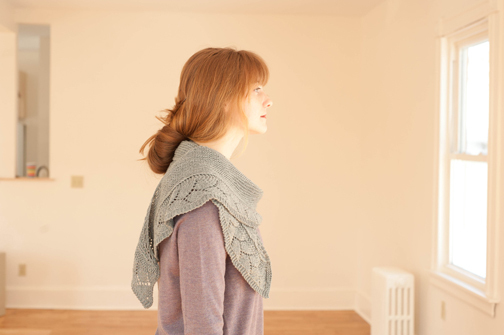 The link for Spectra leads to Kilkenny Cowl's Rav page. I finally talked my DH into watching Downton Abbey with me this week. We loved it so much that we made it through all of season 1 in two days! I loved seeing the quotes from the show in each of the yarns. Thank you for the give-away! 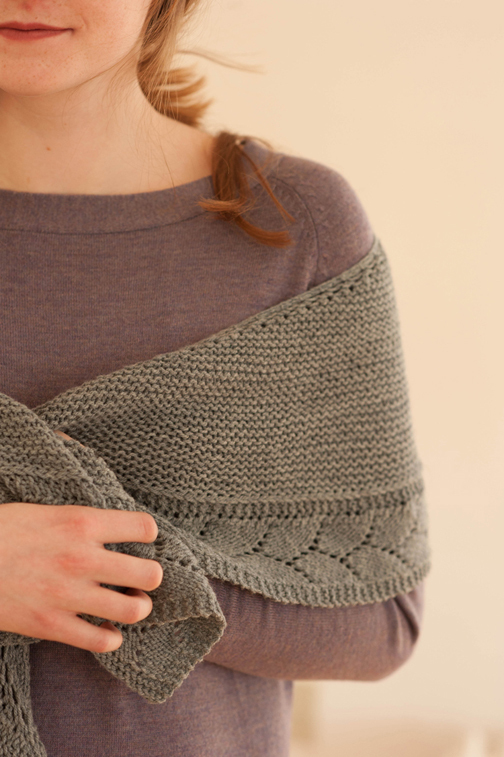 How lovely to knit something inspired by Downton Abbey. Your new shawl is wonderful, and I've just now added it to my queue. I just discovered Downton Abbey last weekend, and by the magic of iTunes I am now fully caught up. Super bowl? What super bowl? My favorite character I think is Bates. Anna is my favorite character from Downton Abbey, and I have to say I really like the colorway that they named for her. Great show, can't wait to meet you at the retreat! Well Paula, you've done it. You've talked me into falling in love with Downton Abbey. Your podcasts have a way of taking me in more directions than I ever planned to go, and this is another example. That's one of the reasons why I love Knitting Pipeline so much. I never know what new treat will attract me -- a knitting tip, a book, a pattern, a poem, an owl? It's like being in a candy store, but without the calories. Now if I could only find time to follow through with all the things you've inspired me to do! Downton Abbey is a definite, though. Thanks. Sybil, Gissing. Oh my gosh, I can only imagine how luxurious it must be to knit with this beautiful yarn. Thanks so much for the podcast, and the giveaway. Paula, it is so fun to listen and enjoy the same favorite things that you do! I love short rows. I love birds and snowy owls are a favorite. I too have trekked the searched to find a certain bird. I love garter stitch (though I'm still working to perfect it). I even love bagpipes (did you see Mrs. Brown the movie?). But I just love, love, love Downton Abbey. I don't think I've loved a TV show more! I can't wait to start your Piper's Journey. My roomie from last year's Camp KIP and I are going to do it as a commemoration in some special yarn that we each (unbeknownst to the other) purchased at Camp KIP. I tried to post a comment in the wee hours this morning, but I see that my comments never made it through. Roman Hills yarns are quite lovely. At first I really liked Wonder. But now that I've seen Gawth in the Baby Alpaca/Silk, I am in love. What a beautiful, rich color. I'm not much of a lace knitter, but I might just have to buy that skein just so I can look at it. Thanks for introducing me to this yarn, and for the giveaway. I'd love that yarn---what beautiful colors! Lady Sybil, Lady Mary, the Dowager, Matthew. Cannot choose one character, but would love the yarn! Another wonderful podcast, and looking forward to another wonderful Downton episode tomorrow. Roman Hills has some beautiful yarn. I don't usually watch tv, but with all the buzz, I may have to check Downton out. How fun! My husband and I have really been enjoying Downton Abbey, too! My favorite colors are Carson and Sybil, though I'd love to win any of them! Thanks for another great episode and this fun giveaway! Paula, I plan to to catch up on the last two episodes of Downton Abbey after listening to this podcast. I would love to win a skein of yarn in the Dowager Countess colorway. Remember last year when I mentioned that I never saw an owl in the wild, I've now seen two. Last week, I saw an owl sitting on a fence post on my way to work in the morning. I only caught a quick glimpse of it, but I do believe it may have been off white with light brown speckles. A snowy owl? Probably not near a Central Indiana country road. I really would like to see an eagle this winter. Maybe I'll have an opportunity around the time of the Knitting Pipeline retreat. I hope you get to see a snowy owl soon. Hi Paula, just finished listening while knitting my Piper's Journey. Great episode as always. I haven't seen the second season of Downton yet (we don't have a TV) but my favorite characters from Season 1 were Anna and Bates. Favorite Downton Abbey characters - Mr. Bates, Anna, and Isobel Crawley. I think Isobel would have be a knitter. She reminds me of several retired nurses in my knitting group. Maria (venusfueri, from the Subway Knits podcast). The Roman Hills yarns are beautiful. My favorite colorway is Lady Mary. Does that mean I have a glacial personality? I'd love to win some yarn from Roman Hills! Love to knit while watching Downton Abby but it's okay - we bought the 1st season and my husband's eyeing up the second season (out in stores already! )so if I miss something I know we'll be watching it again before too long! Loved "What's a week-end?" We forget sometimes that there was a time when people worked 6 days a week and went to church on Sunday... all day! It was fun to look at the different yarns and read the quotes. My hubby and I are enjoying Downton Abbey, and this yarn looks equally delightful! I can't remember when I've been so addicted to a TV series prior to Downton Abbey! I don't know what I'm going to do when season 2 is over and I begin the long wait for season 3, lol! I loved that Emily Dickinson poem! And the Piper's Journey looks great in the Quince and Co. photos! I'm always up for a giveaway! See you soon! Thank you for another great podcast. I recently received a Kindle Fire and have been downloading the first season of Downtown Abbey....and I'm hooked. Thanks for the chance to win such beautiful wool. I just purchased your gorgeous shawl pattern and received my yarn from Quince & Co so I'm ready to start your KAL...HOORAY!!!! Have a brest WEEK! Your ten-stitch blanket is lovely! I am about to go into my stash to pull all the Cascade 220 scraps I have to make one myself to give to my mother, who is always chilly. Also about to visit Quince to purchase Piper's Journey. Thanks for a lovely podcast. I've been listening - in real time - since episode #1. You are a highlight of my week! Thanks to Roman Hills for the generous giveaway! All the colorways are fantastic. Bates is my favorite character. LOVE the Downton Abvey series of yarn! I've seriously busted my budget on fiber lately so the only way to score some for me this month is through a giveaway! Here's hoping and thanks for the opportunity. Thanks for another enjoyable episode. I love the spiral. And congratulations on your first published pattern! I think I would love to knit with any Roman Hills yarns. Thanks for the importunity to win. Thanks to you and Roman HIlls for the opportunity to win such lovely yarn. I'm going to have to add this yarn to my quickly growing stash. Dowager Countess is so pretty you can see that steely backbone in the colors, purple and silver, perfect. I am just getting into Downton Abbey, thanks to your podcast. I have to go back and watch season one. I love all the Roman Hills yarn. Thanks for a chance to win. Paula, I just love, love, love your Piper's Journey Shawl pattern. I bought it as soon as it came out on Friday. My plan is to make it in lace weight yarn so it will be more like a scarf than a shawl. As to Downton Abbey, what can I say? It is so much fun. I'll be sad when it's over. Seeing Sybil is like seeiing at my niece. Whenever she comes on the scene, I think "Lindsay". i was a latecomer to Downton Abbey, but now I have become a Downton Abbey pusher! I love Downton Abby; Maggie Smith is marvelous as the Dowager Countess of Grantham. I love the Branson colorway, tho I think the Dowager is my favorite character. I was so happy to see Downton Abbey back, love the turns the Dowager Countess' character has taken this year. I burst out laughing at the scene in which the family is having dinner and Edith says she'll be driving tractor for a nearby farmer, and the Dowager exclaims "Edith! You are a Lady! Not Toad of Toad Hall!" ... Cracks me up. Wishing you success in your Snowy Owl search... Oh! Speaking of unusual bird sightings, I saw a pair of bluebirds in my yard in upstate NY yesterday, never thought I'd see one so far north in February! I love the Downton Abbey line of colorways - especially the Dowager Countess (with my favorite quote from her!) My husband has been sick this weekend and has been having a Downton Abbey marathon so he can catch up on episodes. I love Dowtown Abbey and my favorite character is Anaa. I am addicted to Downton Abbey. My favorite character is Mary. Thanks so much for the giveaway, Roman Hills has luscious yarn, would love to try some! I'm debcquilts on Rav. Congratulations on getting the pattern published. Great episode as always. Thank you so much for all the work you put into podcasting - it is very much appreciated. Downton Abbey is the best thing on TV right now. My favorite character is Bates, but my favorite colorway of Roman Hills yarn is William. Dear Paula thanks for another wonderful episode! I never tried to write a bird book, but I wanted to be the next Roger Tory Peterson and would draw birds on everything! Enter me for the yarn drawing please! I have finally heard just too much about the Downton Abbey series to not start watching it. I am looking forward to my first episode to see what all of the fuss is about. Thank you for the show Paula!!! I would love to win! I am a loyal Downton watcher. However, I must say I really think I enjoyed the first season more than the second (so far). What's up with Lord Grantham chasing the maid? Also....I was rooting for Mary and Matthew up until the episode last night when after his fiance's death he felt he and Mary must be punished and therefore broke off forever. Sheesh! It seems to be turning into a bit of a soap opera....never liked that genre! The Dowager Countess and Daisy are tied for my favorite character. Their yarns are both pretty. Another great podcase, thank you Paula. We don't own a TV. I've just watched a few episodes of Downton Abbey, season 2, after Bronwyn posted the PBS site where they can be viewed. I like the character Sybil, because she wanted to give up her comfort and luxury to serve other. Now, just so she does the right thing in her romantic life! As a new listener I feel like I have become a member of an exclusive club. But no worries I am passing on information of the podcast to all the knitter I know. BOOKS: Passing on suggestion for your book list - try Greywalker by Kat Richardson. A women PI in Seattle has her life altered after being dead for a short time. The result is a left turn into the twilight zone. MEDIA TIME:I also share your dedication to the Abby. It brings backs memories of weeks watching the BBC series The Pallisers. Enjoyed this episode, as usual! The giveaway yarn sounds lovely. Wishing I could make the retreat, but my son's basketball tournament must take precedence! I'm loving your podcast, and wonder which others YOU listen to. Beautiful yarn! The colorway is William! I haven't watched Downton Abbey...I fear I will fall down that rabbit hole soon enough. We haven't gotten to watch Downton Abbey yet but we hope to soon. Thanks for a great podcast. While my favorite character is probably Anna (how fun to see her again after watching her in Robin Hood! ), the Carson and Sybil colorways are my favorites. Thanks for pointing out those yarns. I hadn't seen them yet and they were fun to look through! You a couple of other podcasters have gotten me into Downton Abbey! What will I do if the Amazing Race runs long.... Oh dear! Will y7ou pick me? Downton Abbey is my secret getaway!! I love BBC too. Thanks for the beautiful song at the end of this podcast! Where do we join the KAL? Lovin' your podcast and I'm always up for a giveaway. Downton Abby is great, I am a fan also. I can't wait to start the shawl, I love it. Oooooo, Ooooooo, pick me, pick me!!! Love Downton Abbey. Can't wait for the next episode. Paula, I especially like your Podcast this week. I do not know if you knew about the Hooded Crane that was sighted in Southern Indiana last week. They think that it migrated with the Sandhill cranes. A retired science teacher/friend of mine went down to see if she could spot it. She didn't see it, but she saw Hundreds Sandhill Cranes and hundreds of Snow geese. This may be a better bet than seeing a snowy owl, which honestly, I think I would faint if I really saw one in the wild!!! Watching it on Netflix was so enjoyable. Planning to watch this series. I am also going to join the pipers journey KAL. I'm so happy I sent you to the Downton Abbey group - now we all get a chance for this lovely yarn! My Ravelry name is SpringPeeper. I've never seen Roman Hill yarn before. That Dane yarn looks amazing. Paula, thanks for introducing me to this yarn! It looks lovely. My DH and I are both hooked on Downton Abbey. I have also just started my Piper's Journey - great pattern! Love their yarn, and, of course love DA - who doesn't?? Thanks for the podcast! I love your interpretation of the Ten Stitch Twist. I love Downton Abbey and look forward to each new episode, just like I do your podcast, Paula. This is a fun yarn giveaway and I'd love to win it. I am rlene on Ravelry. Thanks! I started my Piper's Journey shawl two days ago, and I was just knitting on it now!! I'm so honored that my mom and I were mentioned on the podcast! BTW, we live in Minnesota, but we saw the two snowy owls at a wildlife refuge in South Dakota. I really enjoy your podcast, Paula. Thank you. Downton Abbey is fun. As for the yarn....is it wrong to want the entire set?? Thanks again for another wonderful podcast Paula. I find myself laughing, nodding, and sometimes jotting down notes of new things to look up and try out as I listen! Congrats on the beautiful Piper’s Journey, and thanks for introducing me to a yarn company I hadn't heard of before in Roman Hills! How wonderful! Downton Abbey AND yarn?? You can't get much better than that! As usual, loved the show. I just started watching Downton Abby and am really enjoying it. I'm going to go check out Roman Hills yarns right now! Paula, I loved the episode and I would LOVE some Downton Abbey yarn-I am an addict!!! Thanks so much for the giveaway! Love Downton Abbey so much. This yarn is great. I'm making my way through season two and it's only getting better! It would be so much fun to knit with yarn inspired by the show. I have to say the Dowager Countess is my favorite character, but I love that blue and gold in the Daisy yarn! D'oh! I meant the Anna colorway -- my eyes weren't working! Paula, if this comment pops as the winner, disqualify it so I don't end up with two entries! Found you via Ravelry! Love the shawl design and love Downton Abbey! All of the colorways are beautiful! I feel I need to watch the entire show all over again from the beginning, it's so good. I am always so excited when I see a new thread go up and I know you have a new episode. Sometimes I download them before my itunes even loads the episode! I just wanted to say i LOVE your new pattern and I can't wait to start but I just CANNOT pick a color! & also I love roman hills and have been debating a skein of slope on etsy for over a week! Ahh! I'd love to win any of the Downtown Abbey line of yarns. Thanks for the possibility. Lady Edith is my favorite character on Downton Abbey. Although she can be selfish and spoiled, she can also be kind. Lady Mary just brings out the worst in her! I have been enjoying your podcast since the beginning, jumped on the Piper's Journey KAL and am loving this pattern. Downton Abbey is my new favorite show, so this giveaway is a great salute to that show. I love Downton Abbey! We recorded on DVR and hubby won't let me erase it, so we can watch it again! Ooh, so many pretty yarns it is hard to choose a favorite. I love the lavendars in Dowager Countess and the blues in aurora borealis. Just heard about Roman Hills and ordered some turquorange striped yarn. Would love to have the Dowager Countess too! Hi! I just listened to my 3rd episode of yours. I'm eager to start watching Downton Abbey. I think those yarn names are absolutely wonderful and am so glad that you have introduced me to those yarns. Thank you! Almost forgot to leave a comment. I still haven't watched Downton Abby but plan to soon. oh my! I love Downton and can only imagine how beautiful the color ways must be! Thanks for the giveaway. ibarlow on Ravelry.